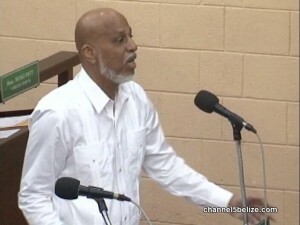 In October, the Caribbean Court of Justice ordered the Government of Belize to repay businessman David Gegg more than half a million dollars. Gegg is the owner of Cruise Solutions Limited and Discovery Expeditions Limited, two companies which initiated a legal case against the government with respect to taxation. Gegg requested the C.C.J. to determine whether the General Sales Tax Act applies to tour operators. This is after a warrant was issued for Gegg’s arrest following nonpayment of GST. He took the matter before the court and the C.C.J., by majority decision, determined that local companies that provide tour operator services are not legally obligated to pay GST. Today, the Barrow Administration introduced a bill to amend the General Sales Tax Act to clarify definitions, essentially blocking local tour operators, who have paid their taxes, from collecting.